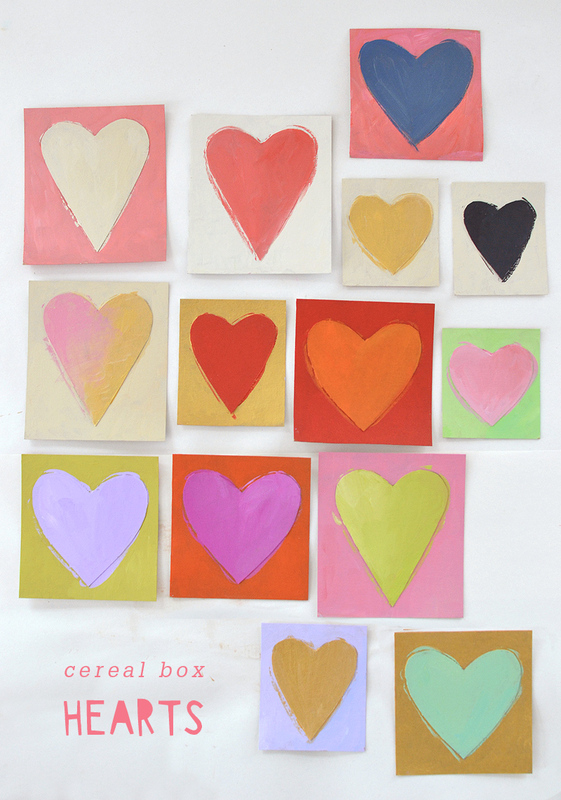 These cardboard hearts made from cereal boxes are SO easy and look really artsy and kind of profesh. Let me tell you how I made them! You know I love using materials that are free. One of my faves is cereal boxes. 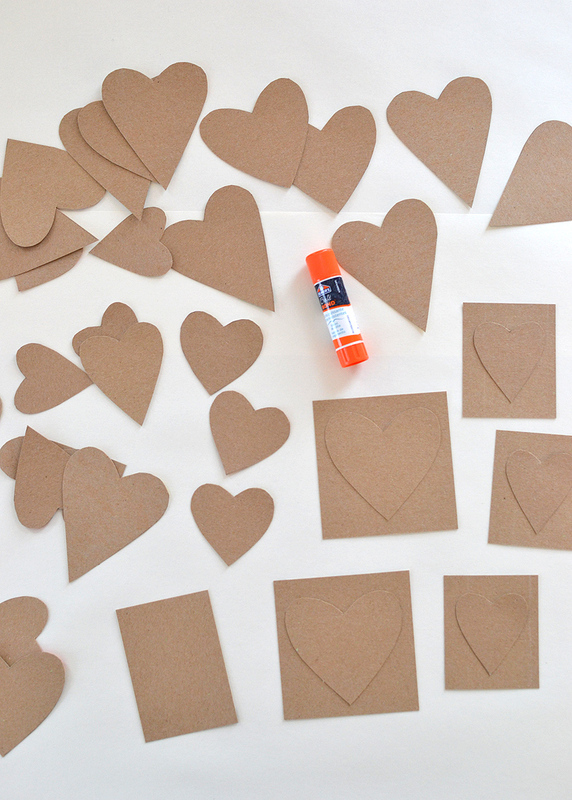 They have that cardboard box look, but easier to cut! I save practically every cereal box we ever eat, and we eat a ton of cereal. I’m always trying to find ways to make the humble cereal box feel more sophisticated. 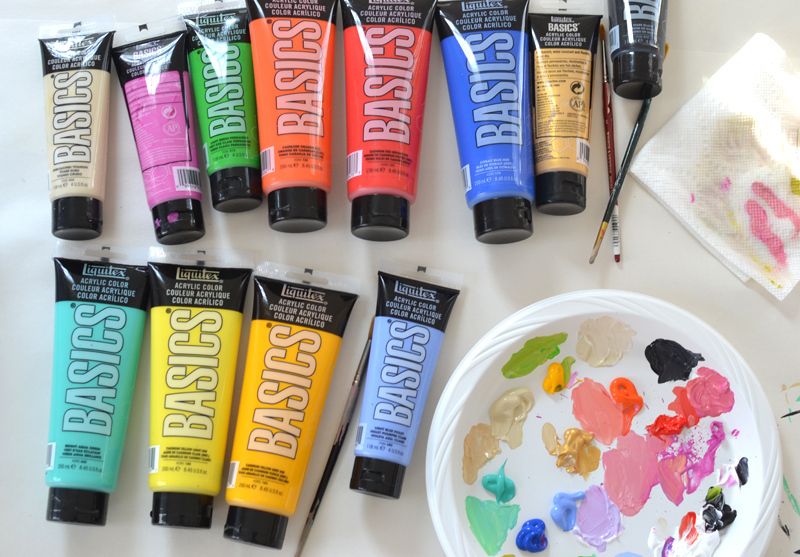 This time I used acrylic paints to make these mini paintings feel more sophisticated. Inspired by something I pinned years and years ago, it always stuck in my head. I spent days scrolling through my boards but never found the pin. I’ll come back and add the source if/when it appears! 1. Cut hearts and squares (or actually they are more like rectangles). 2. 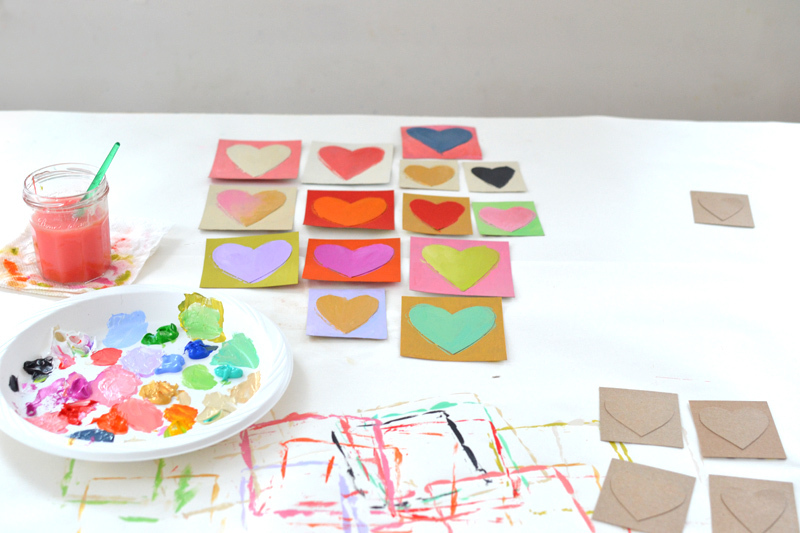 Glue the hearts onto the squares,. I love the way the brush creates a bit of a line around the hearts. 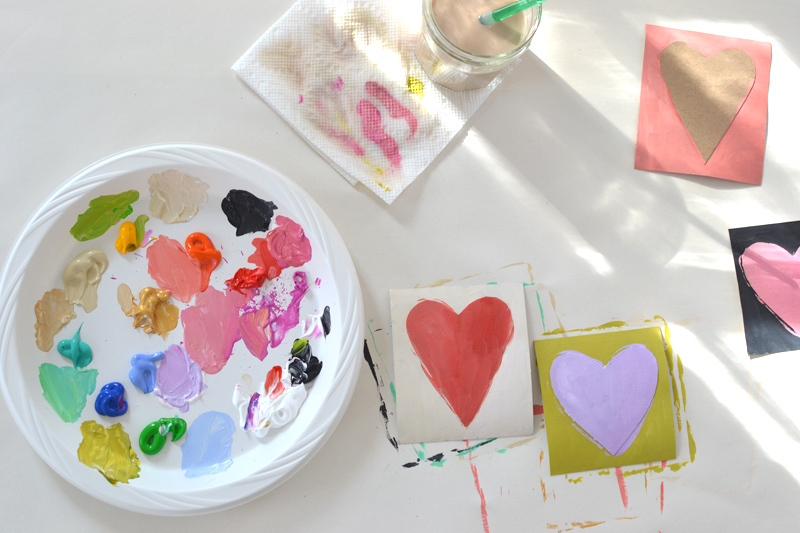 Click here to discover 24 Homemade Valentines ideas! This whole project just felt very relaxing and satisfying to me. I cut the hearts and squares at night while we were all watching a movie. Then the next day I painted them while the kids were at school, listening to podcasts. I could mix and match colors all day! 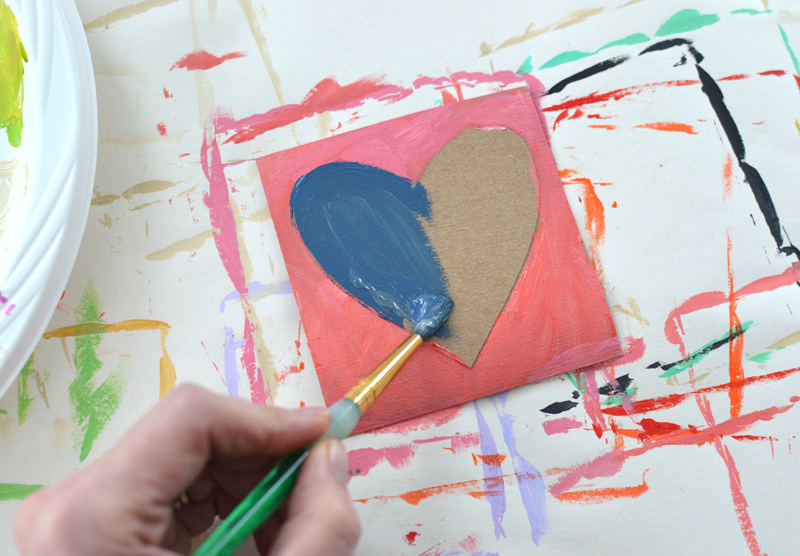 The beauty of this art activity is that even a novice can feel successful. There is seriously no way to make them look bad. 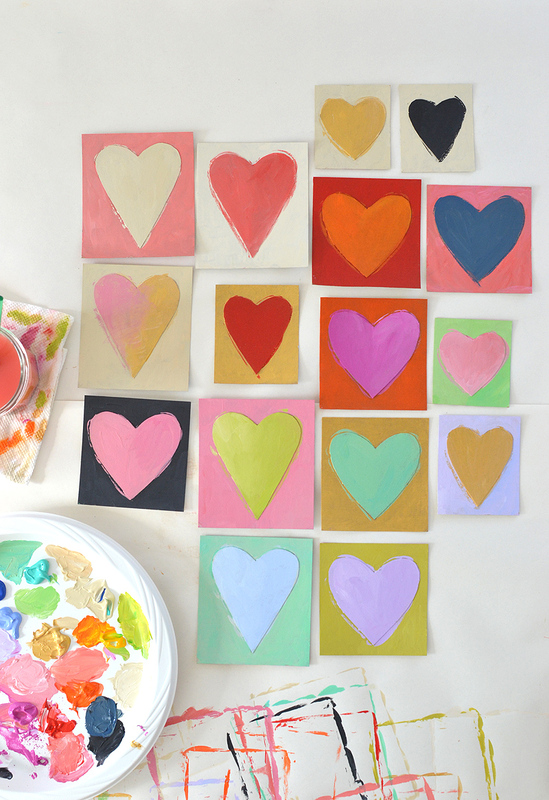 Even if you cut the most crooked heart ever and mix yucky colors, these hearts will still look good. Trust me. I think I will make these into a garland next. Oh, and I’m definitely trying them with my art students. I’ll come back and post photos.